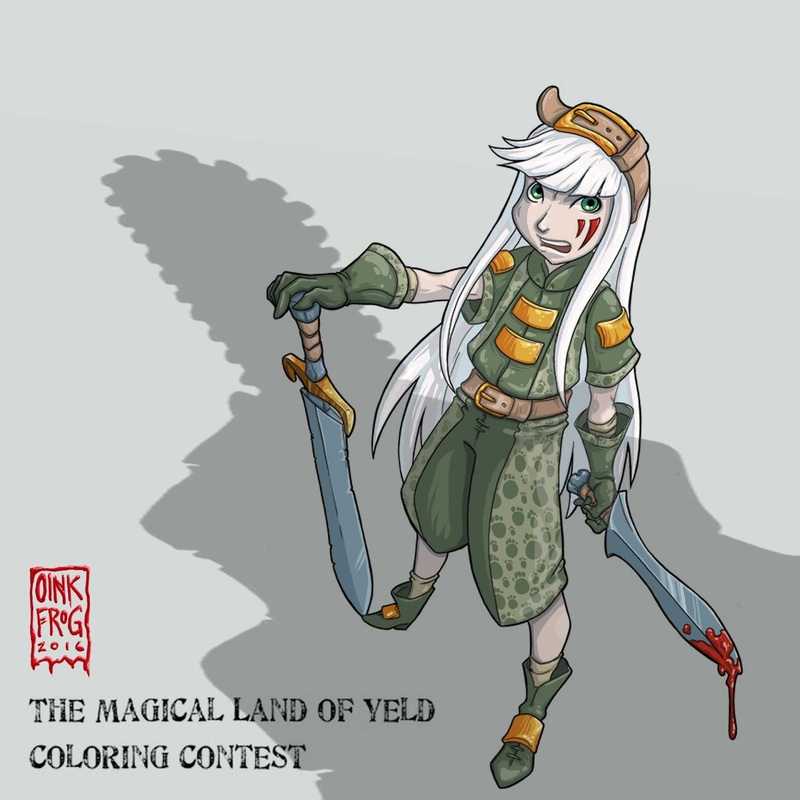 The final days of the kickstarter for The Magical Land of Yeld tabletop RPG added something fun and community-centric with a colouring competition. A suite of the simply gorgeous artwork inks from Jake Richmond are provided for anyone who might like to try their hand. 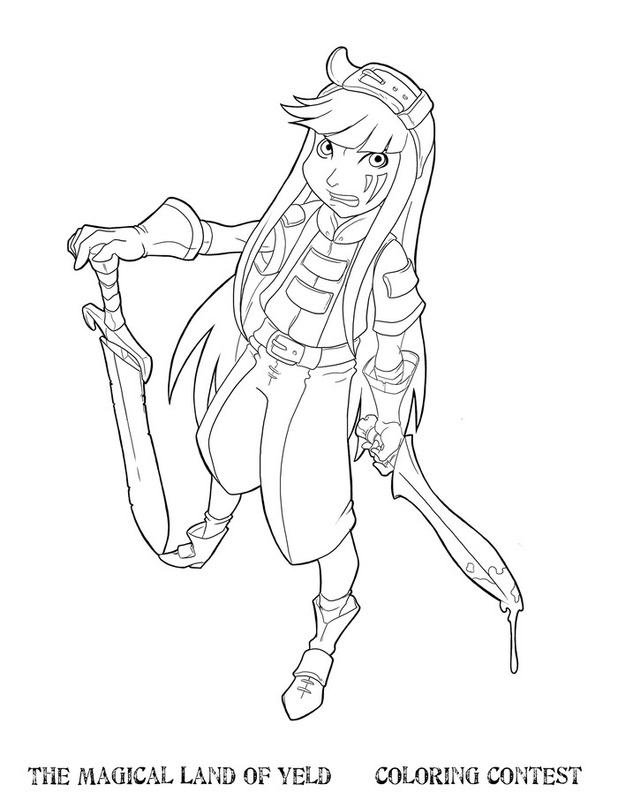 I used Skechbook Pro on my SurfaceBook for the whole thing, essentially just using the ink tool and a few shades of each colour to keep it simple. It still took a little while to have the shading layers and the details like the paw-print camo pattern etc. Here is the pic, plus the source image below as well.